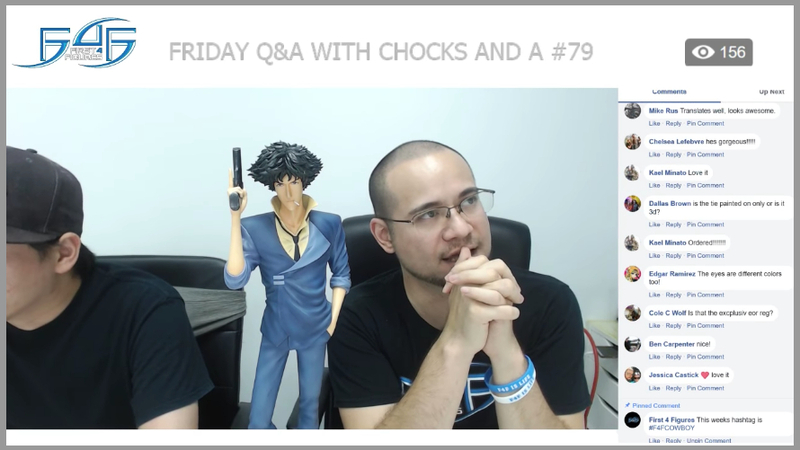 This is a breakdown of the important (and not so important) topics of last Friday’s (July 13, 2018) Friday Q&A with Chocks and A #78. Sonic the Hedgehog Boom8 Series – Combo Pack 1 and 2 pre-orders are now closed. Thank you so much for all your support! You can still jump on the waitlist for a chance at pre-ordering this figure if you already haven't. CRYSTAL DRAGON is still open for pre-orders until 24 July 2018. 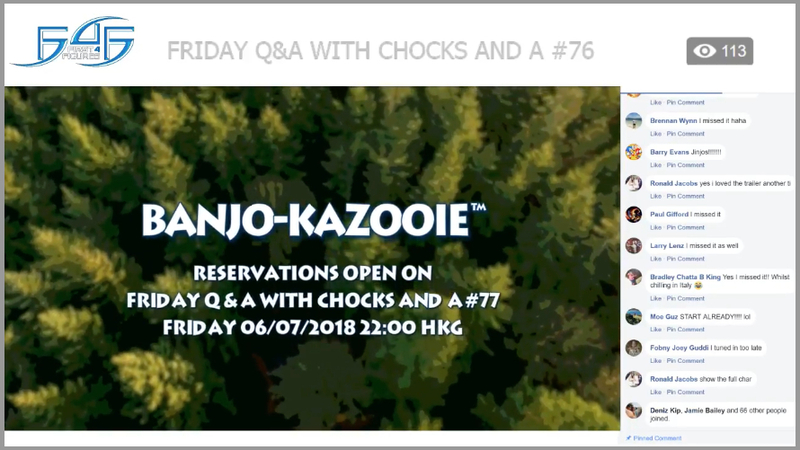 BANJO-KAZOOIE is still open for pre-orders until 7 August 2018. Final payment for Sonic 25th Anniversary and Jin Kazama for the EU region are due on 20 July 2018. 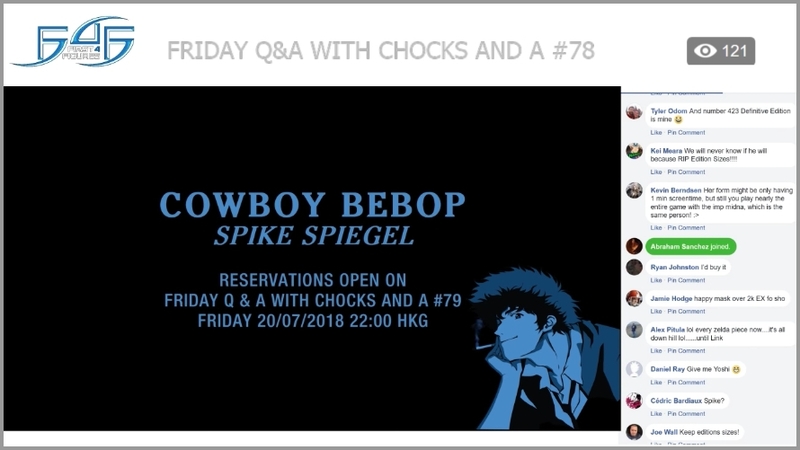 CONFIRMED – SPIKE SPIEGEL WILL GO LIVE FOR PRE-ORDER NEXT WEEK, 20 JULY 2018! Alex is impressed with the results of his Mumbo Jumbo poll. It's possible that he could post more Banjo-Kazooie character polls (e.g. Gruntilda, different-colored Jinjo Combo Pack). On the topic of Gamescom 2018 (Part 1): NYCC 2017 was an expensive lesson for F4F, and they will do things differently this time around based on what they've learned. The result of this Con will make or break whether or not F4F will continue to attend events such as this. Sell 150 pieces each of the Regular version of Breath of the Wild Link PVC, Crash Bandicoot PVC, and Artorias the Abysswalker SD. They decided on this magic number because they do not know what the demand for these will be. If they bring more and do not sell out, the shipping cost to move stock around will increase significantly. Open pre-orders for one new resin and one new SD PVC statue. Those that pre-order during the event will still have to undergo the validation process like everyone else. Online pre-orders will take place at a later date. With the Club's permission, re-open pre-orders for the Exclusive version of certain statues that have already gone to waitlist. That would mean that the edition size would increase if attendees do order. Those currently on the waitlist of said statues WILL NOT be converted automatically because F4F still wants to keep the sanctity of their online pre-order system. On the topic of Gamescom 2018 (Part 3): Alex hopes that the Club could support them on their decision. They want to continue attending Cons to be able to meet the members of the Club around the world, but they can only do so if Gamescom 2018 was a success. On the topic of Gamescom 2018 (Part 4): To those who are attending and are interested in lending a hand during the event, please do check out Alex's post on how to participate. You will be compensated for your efforts. The Official Collectors Club now has over 52,000 members! Welcome everyone, and enjoy your stay! They are still working on the 50k Reveal, so please do bear with them a little while longer. For those that received error messages during the validation process of Banjo-Kazooie, F4F will forensically look into it and update their timestamps accordingly. Mini Chocks (R.I.P.) took the Club on an F4Tour again. 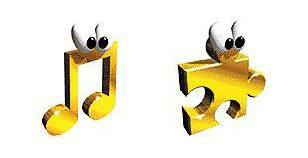 Would you be interested in a standalone pack of the metal Banjo-Kazooie Jiggies and Notes with googly eyes on them? Alex created a poll to gauge the Club's interest on the idea. Would you be interested in iconic watches straight out of a video game or anime? Alex created a poll to gauge the Club's interest on the idea. The Official Collectors Club has a new Announcement section that allows admins to pin about 5-10 relevant posts to keep the members updated on the latest information. The seven winners of last week's #F4FBANJO are CHELSEA HARRIS, STEPHEN TECKLENBURG, BRANDON MARTIN, MATT KESSLER, ERIC RAY HOLLINGBACK, LAUREN STARLING, and ALEXANDRA BÉLAIR-LECLERC. This week's hashtag is #F4FSPIKE for a chance to win 500 reward points. To rally for Oddworld: Abe's Oddysee, share out the TT poll. Now that everyone who participated has been eliminated, we will speed up the remainder of the tournament to give everyone a better understanding of what the end result should look like. NEW MECHANIC – If no one wins the tournament, the 2,000 reward points will go into a pool and will continue to accumulate until such time that a winner claims it all. If there are multiple winners that succeed in claiming the prize pool, it will be divided accordingly. CONKER UPDATE: Approved by Rare to go to pre-orders; when would you want it to be? Alex is thinking somewhere between November or December of this year. Let him know in the comments section below. Already confirmed in the past that the Conker design will be of him on the throne, but if there's enough clamor for a smaller version of the statue, possibly of just the throne cushion as the base, then Alex could look into it. Factory working on Sonic 25th Anniversary and Amaterasu Life-Size Bust has been very slow in production. After the latter statue, F4F will discontinue working with this factory. 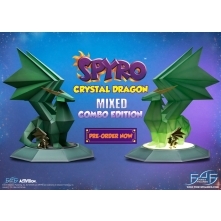 SPYRO PVC UPDATE: Unlikely to go up for pre-order the same time as Spyro: Reignited Trilogy, but it will be close. SPIKE SPIEGEL UPDATE: Like what they did for Guts: The Black Swordsman, since this is an anime release, pre-orders will remain open until before production starts if during the four-week pre-order period sales didn't reach 1,000 pieces. 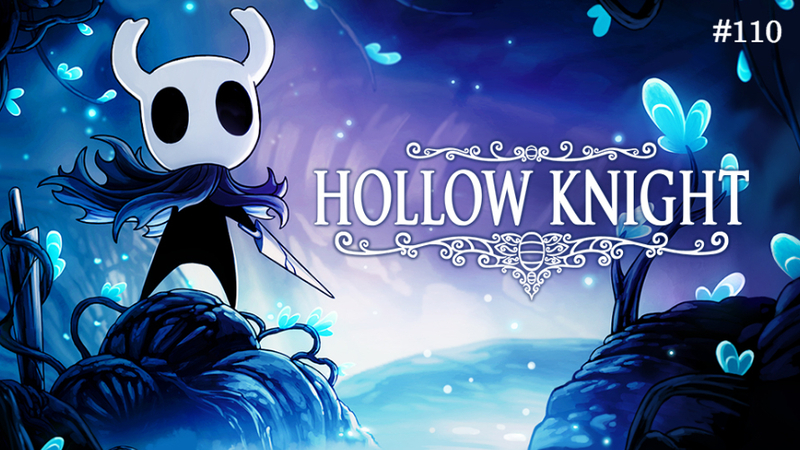 There won't be a Definitive Edition. BANJO-KAZOOIE UPDATE: F4F is listening, and they will look into people's concerns specifically with regards to the pole orientation, the length of the tuft of hair, and the eye direction. Once they've made the changes, they will be having a Last Chance Weekend for those that are still on the fence. The Banjo-Kazooie changes are now between F4F and Rare. 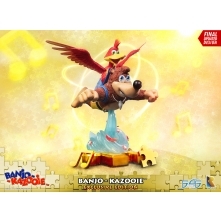 There will be more small items coming from the Banjo-Kazooie line such as the honeycomb and feather. 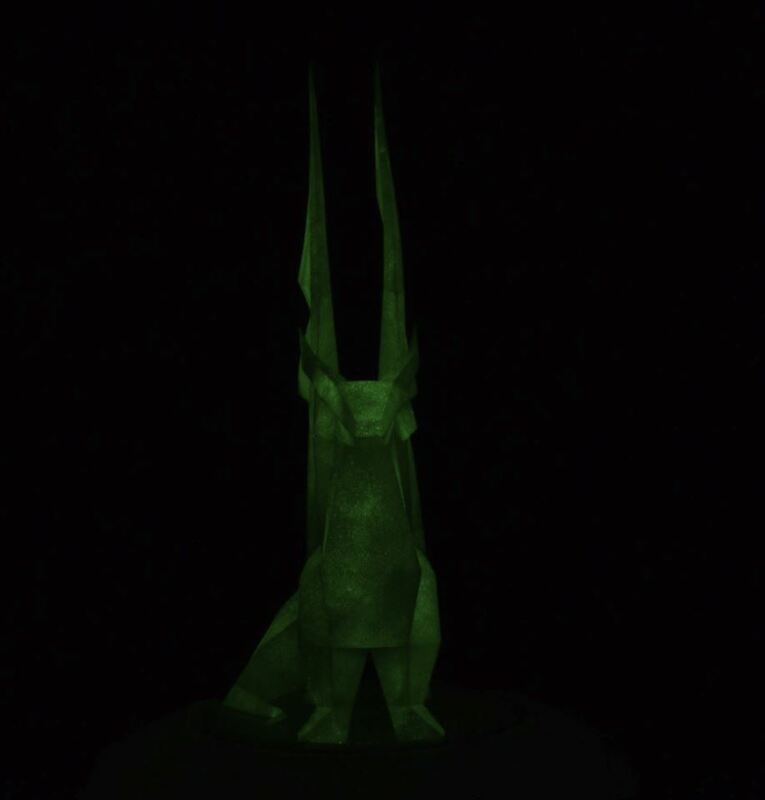 CRYSTAL DRAGON UPDATE: Images of the glow in the dark Crystallized Edition are now available. There is a waitlist for the Dark Souls jewelry by TORCH TORCH x F4F Partnership. ALUCARD UPDATE: Crystal Cloak variant is still coming. The number of anime releases each year will be proportionate to the number of anime licenses they've acquired. Solaire of Astora SD sold more than Artorias the Abysswalker SD because the former had a Combo Pack option. SONIC THE HEDGEHOG DIORAMA UPDATE: The next diorama will be the Sonic and Tails Helicopter Diorama. BOWSER UPDATE: Production might have started. The Legend of Zelda statues will likely come from Breath of the Wild, but if they could pick another title, they would pick Ocarina of Time. CASTLEVANIA UPDATE: The next Lord of Shadows piece (Gabriel) will also be in the same scale as Dracula. ALPHONSE ELRIC UPDATE: If everything goes smoothly, pre-orders will open this Q3 2018. The condition of a package when shipped doesn't have much to do with the shipping company, but rather the actual person delivering it. Everyone will always have good and bad experiences regardless of which shipping company. F4F will update the Club on whether or not they are affected by the tariffs into the U.S. The statue number isn't on the authentication card to avoid others from stealing your statue number if for whatever reason they got a hold of your authentication code. Alex did not consider attachable speech bubbles for the Exclusive version of Conker. Rally the fans if you want to see more Legend of Zelda villains. The number of Legend of Zelda releases per year doesn't have anything to do with F4F or the community; it's about how many the licensor can handle. F4F won't be doing anything special for the 20th anniversary of The Legend of Zelda: Ocarina of Time. F4F aims to get statues into their buyer's hands upon purchase in nine months' time but is realistically somewhere between 10-12 months. After the initial assessment of the pre-production samples, Alex will return for one final inspection to confirm if the issues have been addressed. Alex could run a poll to gauge if the Club would still be interested in a Luigi statue if it wasn't a Luigi's Mansion version. A never-before-seen PVC statue will debut in Gamescom 2018 and will be up for pre-order for attendees. Although their backend program couldn't handle it, Alex and Chockles came up with a great idea to put up pre-orders for niche lines at a relatively higher price point, but will then decrease in price after hitting a certain milestone number of orders. Those that pre-ordered at a more expensive price will receive a refund as the price goes lower but will still retain the reward points earned from their initial purchase as an incentive for being one of the early supporters. Alex would have liked to launch their Guts: The Black Swordsman statue much earlier. Alex will have a look at the pre-order calendar sometime soon. Alex's anime poll from the Las Vegas Licensing Expo still needs some love. F4F isn't dismissing the possibility of trying to acquire the Darksiders license. Setting up a warehouse in Australia isn't as easy as it seems. Chockles sees great design potential in the Pikmin line. Alex would like to make a Princess Mononoke statue. They always keep an eye out for the PVC potential of new licenses. 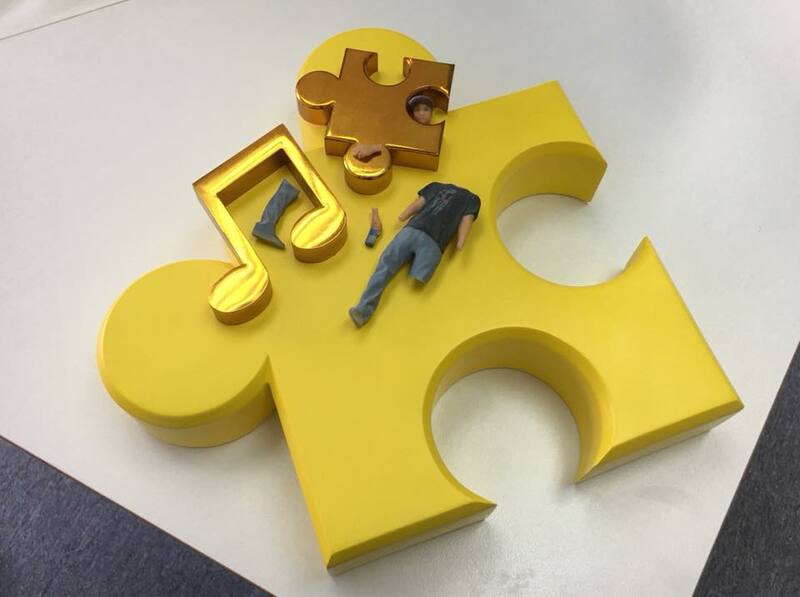 PVC statues are key to F4F's expansion. However, there is no reason to set a license exclusive to producing PVC. 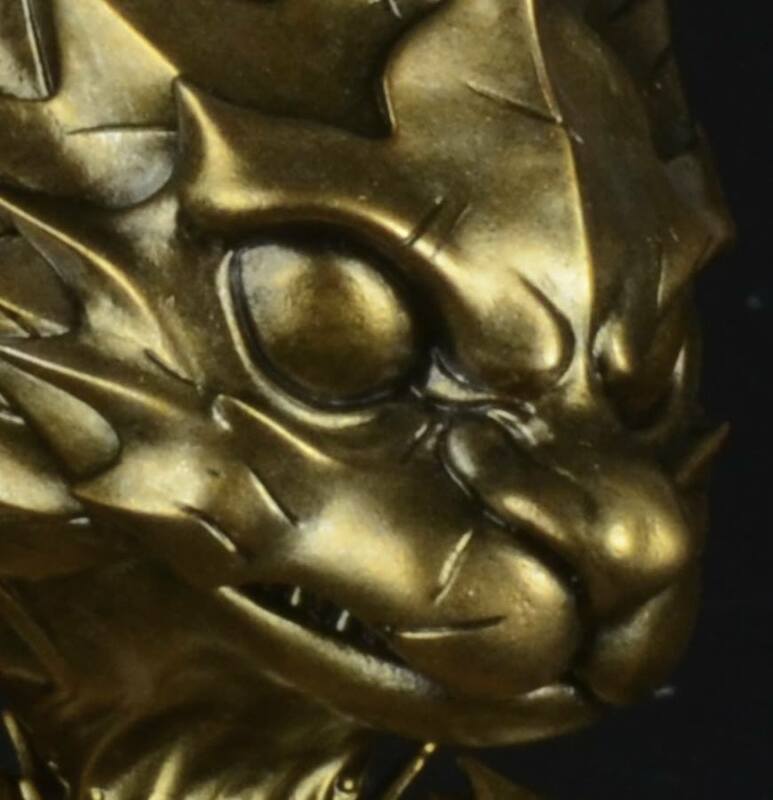 There is no reason to exclude resin statues in the mix. To keep statues in tip-top shape, store it in room temperature, keep it away from direct sunlight, store it behind glass if possible, keep it dust-free, and sing it a lullaby before going to bed. F4F will send their anime statues to their respective licensors to be on display during New York Comic Con 2018. It breaks Alex's heart to see #finishtheline, but he's a bit gun-shy with anime releases in general given its history. He would love to do more anime statues, but there needs to be more support for it. F4F only has two years of anime experience (as opposed to their 14 years in video games), and they will continue to improve wherever they can. 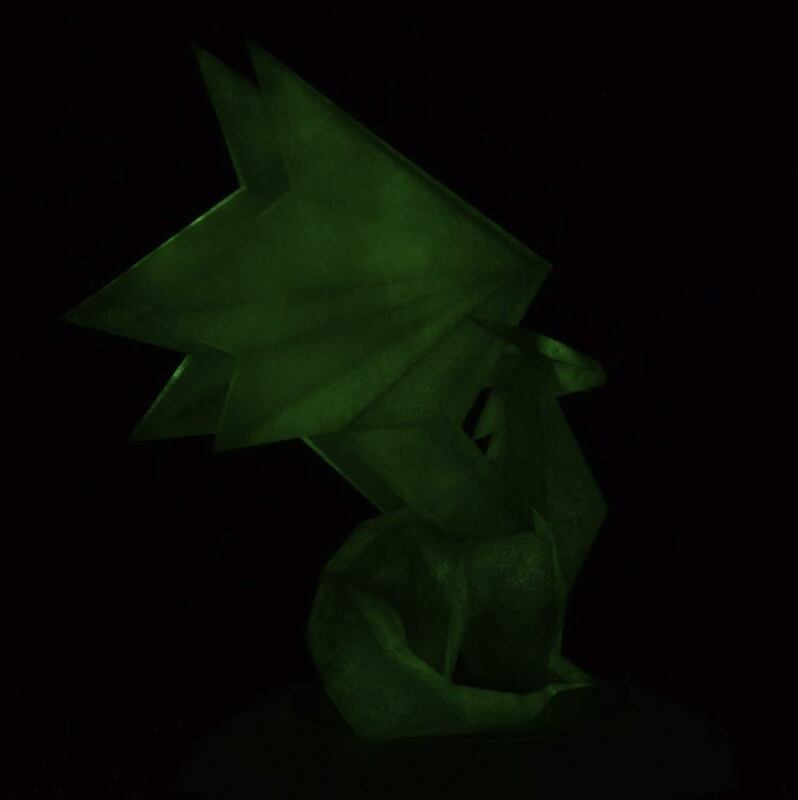 They can have a conversation with Dark Horse to see if they could distribute F4F's Berserk statues in the U.S.
F4F would have still launched their Banjo-Kazooie statue even if the results of the TT Poll was a resounding "No". Everything contained in the contract with their licensors is confidential. They've contacted the licensors of Persona 5 in the past. If the Sonic Mania poll was a success and F4F were to create Sonic the Hedgehog statues in this style, it would be part of an all-new line. If everything goes smoothly, F4F will take a Sonic the Hedgehog resin statue with them to Gamescom 2018 from their F4F Partnership with GNF Toyz. Alex and Chockles love receiving fan packages. Alex would do some statues differently if he didn't need to ask for approval. Alex would love to release a statue in both the 1/4th and 1/6th scale at the same time, but the problem lies with those that follow afterward. What if one scale sells significantly less than the other that they shouldn't even bother anymore creating the underperforming scale? What will happen to those that previously purchased the scale that's about to be phased out? Majority of Club members still want numbers on their statues. Solaire of Astora SD (Praise the Sun Edition) is being produced in a different factory because it involves more handwork compared to normal PVC statues. F4F asks customers to verify their address to prevent fraud. They do not allow transfer of pre-orders from one person to another. Super Smash Bros. character variants are unlikely because that isn't a license they have. Limited signed art prints are something they would look to do in the far future, but this would entail hiring staff dedicated to this kind of project. Censor your authentication code if you decide to post your authentication card in public space. All F4F statues are Alex's babies. Customizing Flexipayment dates for each user is something they would love to do in the future. Exclusive versions don't necessarily equate to LED lights. Statue numbers are not based on the actual production piece sequence; it's completely random. Alex could post an official poll to gauge the Club's interest on a Metroid Prime 3 Gunship statue. If they were to look into Dead Space, they would look into it April of next year. F4F wouldn't bother finishing off the production run if there are only a few people on the waitlist. WHO DAT WHO DAT: There were four players this week since they didn't play last week to make way for the Banjo-Kazooie launch. The answer was Serious Sam. The winners were PHILIPP EßINGER (lost), CANER UZUNOĞLU (lost), ALEX PITULA (lost but made it to the 8,000 reward points portion), and JOSH MIZRAHI (1,000 reward points).